I think we have the third R done really well in NZ. With the large recycling bins available to households, clear labeling of what can be recycled and ease of sorting, it has been really easy to form the mindset and habit of recycling everything we can. With reuse, there are plenty of clean glass jars drying on my kitchen windowsill as proof that we do practice it. Jars from condiments and coffee are reused for homemade sauces and pastes, and also for the dry ingredients in the pantry. Admittedly, we can do better at reducing rubbish. 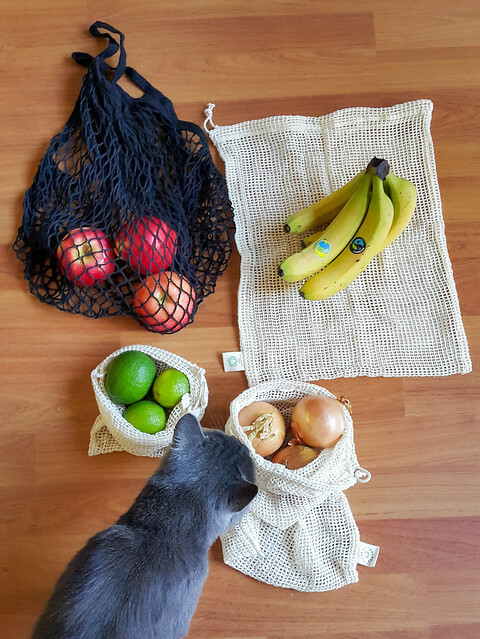 We have been using sturdy bags for groceries, but can’t do anything about the prepackaged meat products. I have long detested the plastic bags used to wrap cold cuts at the deli meat counter. I didn’t do anything about it, kind of shrugged my shoulders and thought ‘oh well, there’s no other option.’ Well there is ALWAYS another option. I can choose not to buy the product (there might be mini protests at home though). I can also choose not to accept the plastic bags. Okay, now that’s an idea. It’s not a new idea and I am pretty sure I have done that in the past but for what reason I stopped doing so escapes me. Perhaps it was the look of annoyance from the lady serving behind the counter (I still remember the frown like it was yesterday) or the look of doubt at the checkout. Be curious people and think about why I would want to do what everybody wants to! We should have more conversations about things that matter and be innovative. Right. I brought a few boxes to the supermarket today and asked for the meat to be placed in the boxes instead. Result? No hassle at all. True it took a few more seconds for them to work out how to tare the box weight, but it’s no different to how they tare the salad boxes. 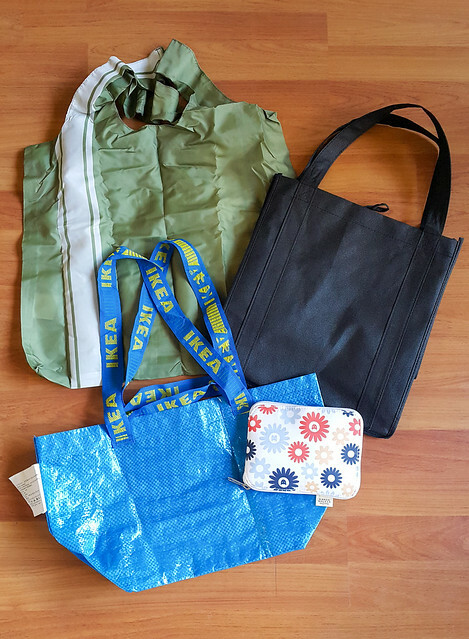 Below are some of the ways we try to reduce plastic/rubbish. I would love to know what you do in your part of the world. 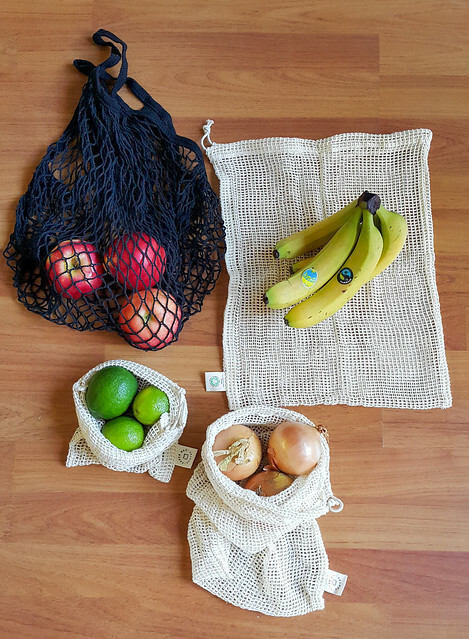 Always have reusable bags on hand for groceries. There are so many on the market. Large ones with good sturdy bottoms, but also ones that can be folded up and tucked into your handbag. Foldable ones for handbag (so no excuse). 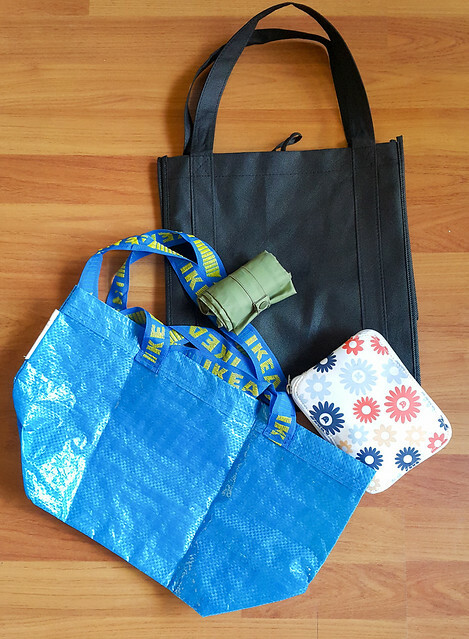 Can I make a plea here please for supermarkets to think about purchasing/merchandising thin, sturdy and foldable bags? Jute bags and cloth bags are cool but they take up so much space! These are ones I have collected over the years. The best ones have a thin but hard board on the bottom for keeping the bag shape. Still maintains a slim profile when folded or zipped up. ‎Shop at markets – my favourite one is the Lacigale French Markets. There is less packaging to start with as farmers and producers sell their goods to you direct in a crate. Buy bulk – We have Good For, a plastic-free shop allowing customers to buy the amount they need and have it packaged in paper bags or jars. You can even refill your Ecostore shampoo or multi-purpose cleaner here. ‎Left overs at restaurants – bring a box. This avoids the unnecessary plastic boxes which sometimes can’t be recycled. It’s would be an even better outcome (?!?) if the restaurant uses styrofoam containers, as I would be able to avoid that completely. ‎Straws – no more plastic straws! 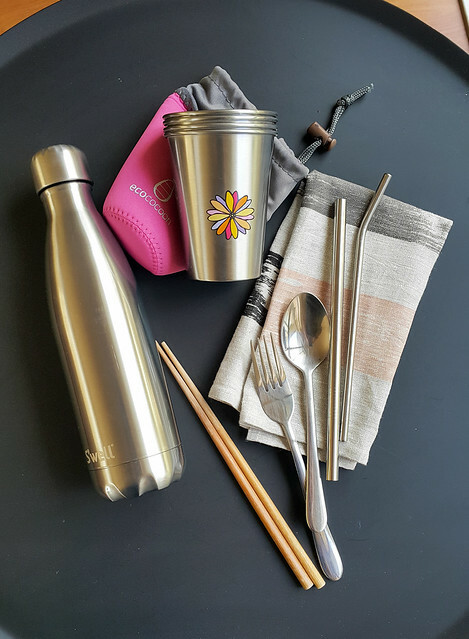 These CaliWoods stainless steel ones are easy to carry, with styles such as soda, smoothie and even one for bubble tea. Water bottle – I always have one with me. Cold drinks for summer, warm drinks for winter. Done, no need to buy drinks or water! Cups for picnics – these Ecococcon cups are great for cold drinks at the park. Perfect with no waste. They do bottles too. 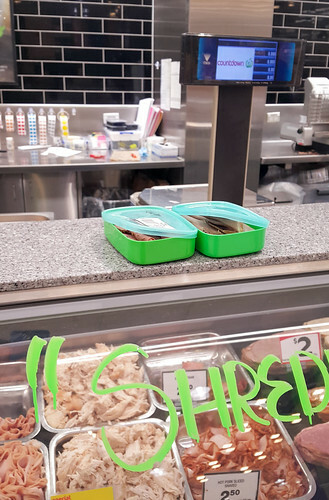 Cutlery – I often have cutley in my car so that I won’t have to use plastic throwaway ones when I *have* to buy takeaways (and I have containers in the car for those too). Coffee – bring your own cup. I decided not to buy any takeaway coffee if I don’t have my cup with me. You know what? That’s stopped me from buying coffee without actually deciding ahead that I want a coffee. For kids – Start influencing their habit from young. Role model the use of reusable products and give them cute ones like these to use. 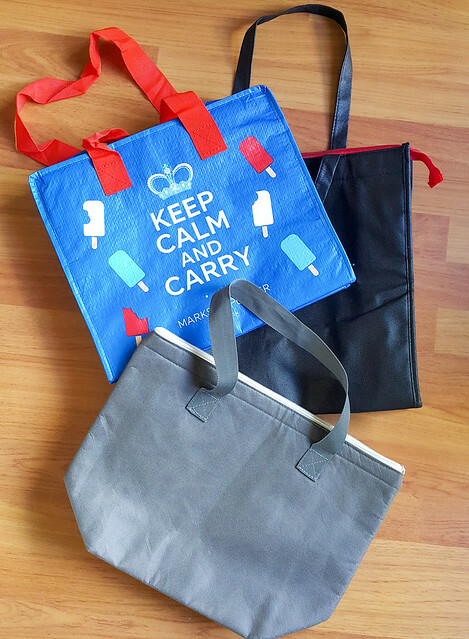 Waterproof and strong, they will fit everything they need for play dates and library books. Packaged snack food – Individually wrapped small pieces of food are such a waste generator. Now that I have a Thermomix, I’d be making a lot more healthy snacks as it cuts my prep time down by half. Thinking bliss balls, cereal bars, mini muffins…shout out if you have any suggestions!What do you do in the fight against waste? Do share what #zerowaste ideas you have with me. ps. 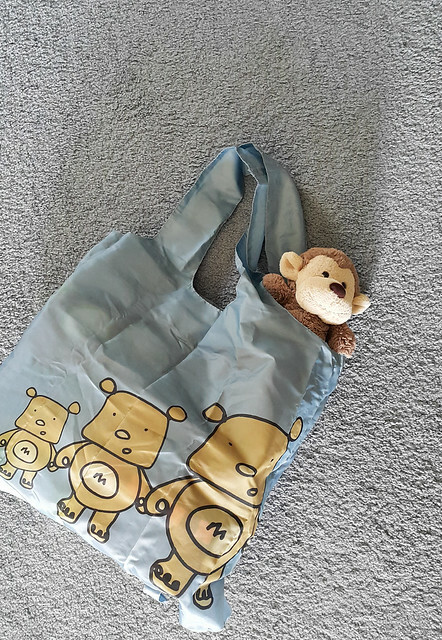 Different sized chill bags are useful for the odd shaped items.